There is nothing better than cooking a great meal for family and everyone REALLY enjoying it. Could've been that it was a great summer evening as well. This meal was simple to put together and great to present. It was one of the few times I was cooking with the other white meat (pork), but since they have lightened the ban on the cook to temperature on pork, it tastes so much better. I have always been a fan of medium to medium rare - make it so tender - style meat and pork is no different. Actually, on steaks, I always lean closer to med-rare/rare...especially topped with a blue cheese crumble ...but that's a whole different meal. The meal tonight included a nice summer breeze, a simple white wine, a simple citrus salad and the super powerful and sweet pan cooked pork chop. YUM!!! To make the pork chops, combine the soy sauce, honey, ginger, garlic, chili & lemon juice in a mixing jug and mix well. Place the pork chops in a ziploc bag and pour over the sauce. Close the bag and allow to marinade for 20 minutes up to 2 hours. When you are ready to cook the chops, heat a pan over high heat and fry the chops, basting with the sauce until cooked through and sticky. To make the salad, combine the leaves and the sugar snap peas. Combine the dressing ingredients and mix well. 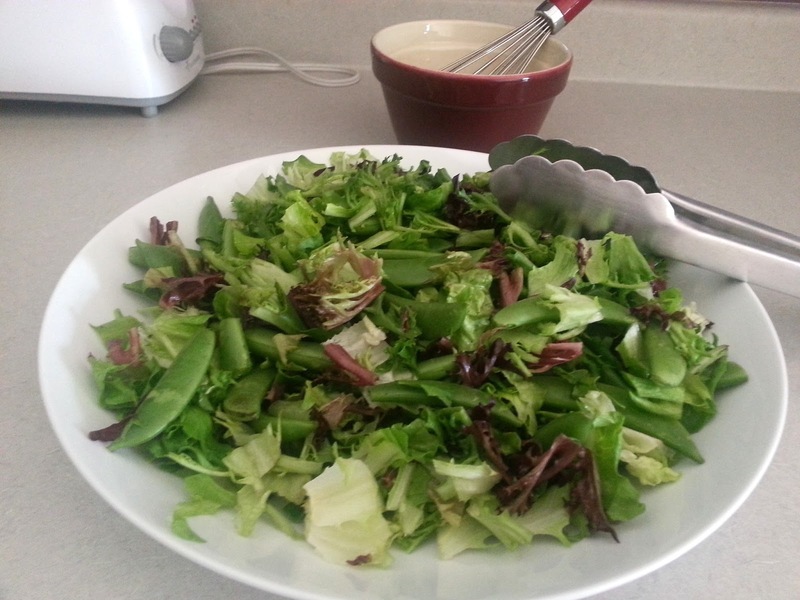 Pour over the salad. 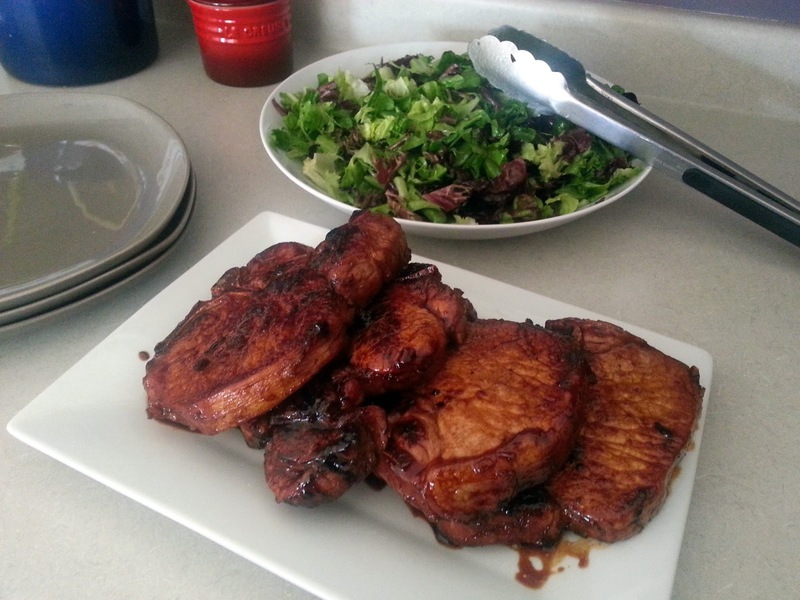 Serve the salad with the cooked pork chops.